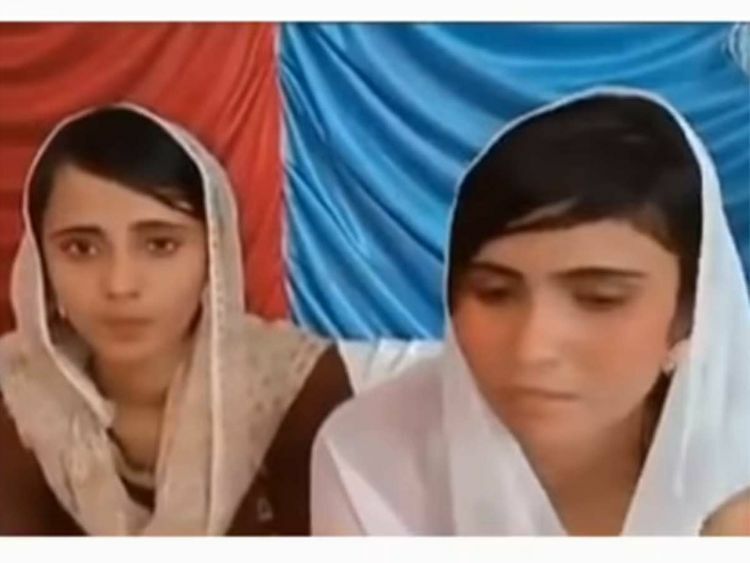 Karachi: A court in Pakistan on Tuesday ordered the government to take custody of two Hindu sisters allegedly kidnapped and forced to convert to Islam, police said, a case that triggered a quarrel with Hindu-majority neighbour India. Police say the teenagers left their home in mostly Muslim Pakistan's southeastern province of Sindh on March 20 to be married in Punjab province, where the law does not bar marriages of those younger than 18, unlike Sindh. "The girls appeared before Islamabad High Court on Tuesday morning," Farrukh Ali, a police official in their home district of Gothki, told Reuters by telephone. "The court has directed the deputy commissioner to take their custody," he added, referring to an administration official in the Pakistani capital. The incident prompted a rare public intervention by a top Indian official in its neighbour's domestic affairs, when Foreign Minister Sushma Swaraj said on Twitter she had asked India's ambassador in Pakistan for a report on news of it. Pakistan was "totally behind the girls", Information and Broadcasting Minister Fawad Chaudhry said on social media in response to Swaraj's Sunday message, but asked India to look after its own minority Muslims. At a news conference on Sunday, he referred to religious riots in Indian Prime Minister Narendra Modi's home state of Gujarat in 2002 that killed more than 1,000 people, mostly Muslims. In Jammu and Kashmir, India's only Muslim-majority state, Pakistan accuses India of human rights violations, a charge New Delhi denies. Modi's Hindu nationalist Bharatiya Janata Party (BJP) will seek a second term in a general election starting next month. He has taken a tougher stand towards Pakistan in the past five years.